Described in 1969 by geneticist John M. Opitz, this ultra-rare pathology -with only a few diagnosed cases worldwide- shows a great clinical variability in different levels of severity (trigonocephaly, intellectual disability, psychomotor retardation, among others). Therefore, clinical symptomatology of Opitz C syndrome can overlap other similar minority pathologies (Kleefstra, Kabuki, Bohring-Opitz syndromes, etc.). Since 2007, several genes have been related to this pathology, which is hard to diagnose due its wide clinical pattern (for instance, ASXL1, CD96, ASXL3 and MAGEL2). 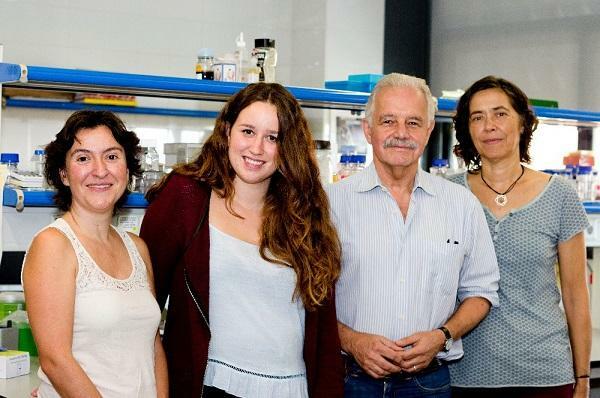 In this context, research lines of the Group on Human Molecular Genetics (UB-CIBERER-HSJD) -in which Raquel Rabionet and Laura Castilla take part too- are broadening the knowledge of the genetic basis of this pathology which so far does not have any chance of receiving treatment, prenatal diagnosis nor genetic counselling. In some cases, affected patients can receive an early diagnose -incomplete and too general- that makes any therapeutic intervention difficult. This is the case of a recent research study in which the Group on Human Molecular Genetics participated, and found two mutations in the PIGT gen in a patient who had initially been diagnosed Opitz C syndrome. This study could profile a precise molecular diagnose of the causes of the real pathology -with a few cases gathered in the scientific bibliography- affecting the patient, considered as Opitz C at the beginning. The study, published in the journal Medicine, has been carried out in collaboration with experts from the Center for Clinical Genetics and the University of New South Wales (Australia), among other institutions. The international scientific collaboration has been determining in the genetic diagnosis of other cases with severe affectations in the neuro-development that had been considered to be Opitz C syndrome. In particular, the UB team has participated in the identification of new genetic mutations associated with DPH1 syndrome -a minority disease with a low prevalence among population- in patients of two different families from Malta and Yemen.